A widespread debate on the “reasonable accommodation” of minorities has convulsed Quebec society and could set precedents that impact all of Canada. Some observers have even suggested the debate could lead to “serious persecution of minorities,” particularly religious minorities. The debate began with a series of somewhat minor incidents over the past two years. A Sikh student went to court and won the right to wear a kirpan at school. Some Hasidic Jews asked the YWCA to install tinted glass so women in shorts could not be seen exercising from outside the building. A Muslim girl was forbidden to wear a hijab or head scarf on the soccer field. A worker was asked not to eat his lunch containing a pork sandwich in the kosher cafeteria of a hospital. Some Muslims and Hasidic Jews objected to being interviewed by police personnel of the opposite gender or wanted driving instructors of the same gender. Some Hindu, Muslim and Jewish women asked to be seen only by a female doctor at medical clinics. However, “regular laws that govern the majority sometimes cause injustice if applied to a minority,” said Salam Elmenyawi, president of the Muslim Council of Montreal. For instance, labour laws that might work fine for the majority might force another person to work on a religious holiday. For instance, having a school provide a private place where Muslim students can pray quietly at the times required by their religion would be a reasonable accommodation, but requiring the school to build a mosque for them would not. However, said Elmenyawi, minorities are often asking not for accommodation but only tolerance. For instance, allowing a Muslim girl to play soccer while wearing a hijab does not cost anybody anything or require anybody to do anything other than just allow it. Nevertheless, court decisions in favour of reasonable accommodation over the past 15 years have created something of a backlash in mainstream Quebec society, especially when the majority have gotten the sense that the values of the minorities are being imposed on the majority. The backlash became visible in January, when the small town of Herouxville adopted a “code of conduct” telling immigrants how to “integrate socially.” Specifically, it denied almost all efforts at accommodation, strongly defended women’s equality against certain religious and cultural practices and defended the use of crosses and Christmas trees as part of Quebec’s “national heritage,” though not as religious symbols. When Mario Dumont’s Action Democratique du Quebec party began to gain ground by aligning with this backlash, Liberal Premier Jean Charest set up a Consultation Commission on Accommodation Practices Related to Cultural Differences in February. The Commission is headed by two well-known academics — Charles Taylor, a philosopher at McGill University and a practising Roman Catholic, and Gerard Bouchard, a historian and sociologist at the Universite du Quebec a Chicoutimi and brother of former Premier Lucien Bouchard. The creation of the Commission did not prevent Dumont’s party from placing a close second in a National Assembly election March 26, which reduced the Liberal government to a precarious minority. The Commission’s public hearings, beginning in August, have sometimes been dominated by mainstream Quebecois opposed to accommodation. Glenn Smith, general director of Christian Direction, an evangelical resource ministry in Quebec, said the hearings have sometimes been a “collective catharsis” of Quebecois anxieties, a venting of anti-Muslim and anti-Jewish feelings. Elmenyawi went farther and said the hearings have become “a platform for racism and xenophobia.” He noted that since the Commission was established, 450 Quebec Muslims have applied to legally change their names, compared to less than 30 such applications after 9/11. While he is confident that a majority of French-Canadians are more tolerant, he said he is concerned that a desire for integration might lead to a demand for assimilation. The Commission’s hearings are scheduled to continue throughout the fall, and the Commission will issue a report in March 2008. One of the early submissions to the Commission, by the Quebec Council on the Status of Women, recommended that the Quebec Charter of Rights be amended to give women’s equality rights priority over religious rights. Without waiting for the Commission to report, Charest announced October 9 that he would accept the recommendation and introduce the amendment. Not to be outdone, newly elected Parti Quebecois leader Pauline Marois introduced a private member’s bill October 18 that would strengthen “Quebec identity” by requiring immigrants to have an adequate knowledge of French in order to run for public office, fund political parties or address the National Assembly. Smith said the moves are an attempt by both parties to regain ground lost to the ADQ. Political scientist John Redekop said the recent developments could lead to “serious persecution of minorities in Quebec” and to the sidelining of religion. The largest religious minority in Quebec and the one that has brought the most cases to the Quebec Human Rights Commission is Protestant Christians. This is the reverse of the situation in the rest of Canada, where Protestants are often considered to be the majority and rarely take cases to human rights commissions, so Protestants are watching developments in Quebec carefully. The recent developments have to be understood against a backdrop of some fundamental Quebec realities, said Smith. First is the fragility of Quebec identity. As a minority themselves, many Quebecois see their own language and culture as being threatened by the dominant North American culture. Thus, other minorities in Quebec are seen as advance agents of this dominant culture who need to be resisted. Second, he said, is the ongoing secularization of Quebec society. Even though Quebec is the most secular province in Canada, Quebecois are continuing to “punish” the Roman Catholic Church which dominated Quebec life until the Quiet Revolution of the 1960s. In this context, Quebecois tend to see Muslim subordination of women as a continuation of the previous Roman Catholic subordination of women and thus as a serious threat to women’s liberation. As a result, there is a desire to push God and religion to the sidelines and to establish “laicity,” a strict separation of church and state. John Redekop added a third factor. 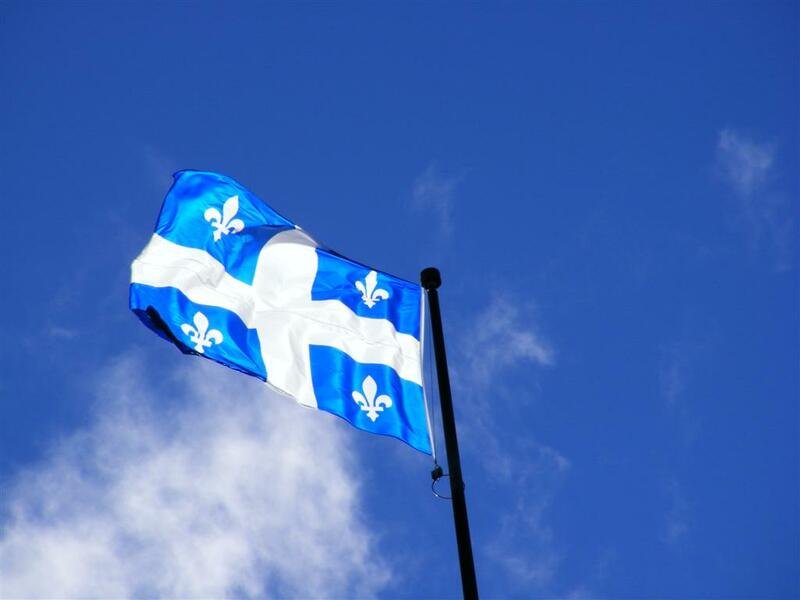 While the legal system in the rest of Canada is based on English common law, Quebec’s legal system is based on the French civil code, which tends to be more concerned with protecting collective rights and less concerned with protecting individual rights. Redekop said he is particularly concerned with giving certain rights priority over other rights rather than trying to keep various rights in balance and allowing judges to decide each case on its merits. Since judges in Canada already have a tendency to tilt toward equality rights, he said, the amendment that Jean Charest has proposed could cause judges to neglect religious rights altogether and rule against them in every case. Smith said he also doesn’t think it likely that Charest’s amendment will be enacted or that the courts will uphold it. “They can’t shut down all 210 parishes in the Montreal area because the Catholic Church refuses to ordain women as priests,” he said. Still, the marginalizing of religion is “a legitimate concern,” he added, because “religion is not private.” The secular assumption that goodness, loyalty and similar values are fundamental human traits cannot be supported, he said, adding that only religion can offer values that can transcend the here and now and overcome violence and racism. Prof. Bouchard and philosopher Charles Taylor are co-chairing a public inquiry into accommodation for religious minorities. Speaking to the news media yesterday as they unveiled their calendar of activities, the two said they want to hear from regular people on the issue, which has roiled Quebec in recent months. A controversial set of public hearings to determine how immigrants should fit into Quebec society is slated to begin hearing from Quebecers of all origins on Monday night. The commission, headed by philosopher Charles Taylor and sociologist Gerard Bouchard, are holding hearings in 17 Quebec communities, beginning in Gatineau, Que. Muslims, Jews, gays, anglophones, evangelical Christians and immigrants in general. All were singled out in a negative light Monday night at the opening session of a commission into what Quebeckers think is unreasonable accommodation of minorities. Federal bureaucrats are calling for a crackdown on open displays of religion in government workplaces, using a provincial commission Tuesday to outline their concerns. Ottawa is being drawn into Quebec’s explosive debate over “reasonable accommodation” for minorities, as several public servants in this government town condemned concessions being made in their workplace. Quebec’s travelling commission on reasonable accommodation seemed headed for a rocky start, with one co-chairman absent as he convalesced from arm surgery and the other apologizing “to all Quebecers” for implying in a recent interview that they lack intellectual depth. Some observers worried the hearings called by Premier Jean Charest to examine ways of accommodating minorities in Quebec society would become a soapbox for bigots. But as the commission began receiving its first formal submissions yesterday, what it heard were mainly thoughtful Quebecers grappling with an issue that has dominated discussion in the province for the past year. Quebecers appearing before a commission studying reasonable accommodation of immigrants have once again raised concerns about sexual equality. Close to 100 hundred people gathered in Rouyn-Noranda, 640 kilometres northeast of Montreal, for the commission’s second stop on its provincewide tour. Many criticized accommodations for religious minorities that undermine equality between men and women. Until this year nobody complained about the crucifixes on the classroom walls at Ecole primaire Mont-Bleu in Gatineau even though Quebec schools have been French or English instead of Roman Catholic or public since 1998. But a recent complaint from a parent prompted the Commission scolaire des Portages-de-l’Outaouais to remove the crucifixes this week. Regis Simard told the commission that Quebec shouldn’t give in to religious fundamentalism after getting out from under the yoke of Roman Catholic religious fundamentalism. Simard also said he doesn’t believe that young Muslim girls wearing a veil are doing so by freedom of choice and called it a “political” choice. Bouchard responded by saying he considered the remarks offensive and cut off Simard’s presentation. The Roman Catholic religion has played an important role in Quebec history and its imagery should remain in public institutions, the mayor of one of Quebec’s biggest cities told hearings into the reasonable accommodation of immigrants. Saguenay Mayor Jean Tremblay told the Bouchard-Taylor commission on Thursday that Catholicism still holds an important place for many, pointing out that 95 per cent of Quebecers are listed as Catholics. Quebec’s debate on the reasonable accommodation of religious and ethnic minorities is a healthy exercise that should take place in the rest of Canada as well, Governor-General Michaelle Jean said yesterday. In an interview with The Gazette to mark the second anniversary this week of her swearing-in as Canada’s de-facto head of state, Jean said Quebec is no different than other parts of Canada when it comes to attitudes toward minorities. The difference is that Quebecers are talking about it. A declaration of citizens’ rights that includes equality between the sexes has been announced by Rimouski municipal officials as the small city tries to attract immigrants. Mayor Eric Forest told Quebec’s hearings on reasonable accommodation for immigrants that his city in the Lower St. Lawrence region also gives immigrants a guide to help them integrate economically and socially. Forest told the hearing Tuesday that Rimouski’s declaration of citizens’ rights doesn’t discriminate on the basis of race or religion. . . . The declaration is in contrast with the controversial code of conduct for immigrants by the small central Quebec town of Herouxville released last winter. The group that 12 years ago fought vehemently for the rights of students who wore a hijab in Quebec’s public schools is now trying to ban their teachers from wearing the Islamic headscarf and other “ostentatious” religious symbols while at work. The Quebec Council on the Status of Women, a 20-member body that advises the government on issues relating to women, is urging the province to force public employees to remove visible religious signs when they are on the job. Aside from large Christian crosses, Sikh turbans and Jewish yarmulkes, these also include the hijab, a veil that generally covers the hair and neck, and the more controversial niqab, which covers the face, leaving only the eyes exposed. Premier Jean Charest indicated Tuesday the provincial government may amend the Quebec Charter of Rights to put the equality of men and women ahead of religious freedom. Charest told a news conference the government will likely act before the completion of hearings into reasonable accommodation for immigrants. The government has received recommendations for such an amendment already from the provincial status of women’s council. The debate in Quebec over “reasonable accommodation” for religious minorities has, unfortunately, not itself been noticeably reasonable. With Premier Jean Charest’s announcement on Tuesday that his government may amend the Quebec Charter of Human Rights and Freedoms in order to make gender equality specifically superior to religious freedom, it has crossed over into the territory of the definitively wacky. Hijabs, baseball caps, burkas, kirpans and Bermuda shorts — what people wear and the way they look preoccupies Quebecers, a government commission heard yesterday. On its third and final day of hearings in the Montregie area, near Montreal, the Bouchard-Taylor commission on “reasonable accommodations” of religious and ethnic minorities got an earful from residents about the manner of dress allowed in schools, shopping malls and swimming pools. Quebec’s heartland may be far from immigrant-rich big cities, but it cried out Tuesday for protection from the “Canadian multiculturalism” that is causing a clash with minority cultural practices. The latest instalment of a provincial commission dedicated to letting Quebecers vent on accommodating minorities hit a hotbed of debate halfway between Quebec City and Montreal. The region includes Herouxville, the town of 1,300 that adopted a code of conduct earlier this year that included a ban on stoning women. There was the woman who feared that Quebec would be overrun by Muslims. There were anecdotes about Muslims unwilling to integrate. Mentions of massacres in Muslim countries. For an area where Muslims make up less than 0.7 per cent of the local population, Islam repeatedly came up as a source of anxiety last night as the public commission looking at religious accommodations stopped in the Mauricie area, midway between Montreal and Quebec City. A town councillor in the middle of Quebec’s furor over integrating immigrants laid out a stark choice Wednesday for Canadians who believe new arrivals are destroying traditional culture. Herouxville Coun. Andre Drouin said the Charter of Rights and Freedoms must be changed to drop protections for religion, or provinces like Quebec should separate and adopt their own rules. Nine months ago, when this tiny village in central Quebec adopted a code of conduct that banned the stoning of women and informed newcomers “at the end of every year we decorate a tree with balls and tinsel and some lights,” there were snickers from some quarters. “They don’t laugh anymore,” Herouxville resident Bernard Thompson said yesterday. With its code, the town of 1,300 prompted the creation of a travelling commission headed by two Quebec intellectuals and triggered a debate that continues to dominate Quebec politics. A guy with a bad case of paranoia rises in a half-empty hall to make the case that the immigrant hordes are coming to take over his small town – so much so that it needed to enact laws against things like stonings and female circumcision. One of the gentlemen running the townhall meeting points out that “we’re a long way from stoning here,” not least because there aren’t actually any immigrants in the town in question (let alone ones who stone each other). No matter, he’s told – they’re coming. Why? Because of global warming. So we need to be “preventive,” starting with getting rid of that infamous “tool to destroy our country” – the Charter of Rights and Freedoms. The obvious response is to dismiss the complainant as a marginal loser and get on with our lives. But we haven’t exactly done that. He may be a loser, but Andre Drouin can hardly be called marginal. Not when, along with a few other like-minded folks in Herouxville and surrounding parts, he’s managed to put his particular brand of xenophobia on the national agenda. The stoning of women could happen in Quebec unless cautionary steps are taken, a proponent of the controversial Herouxville code of conduct said yesterday, urging people to stop accommodating religious minorities.